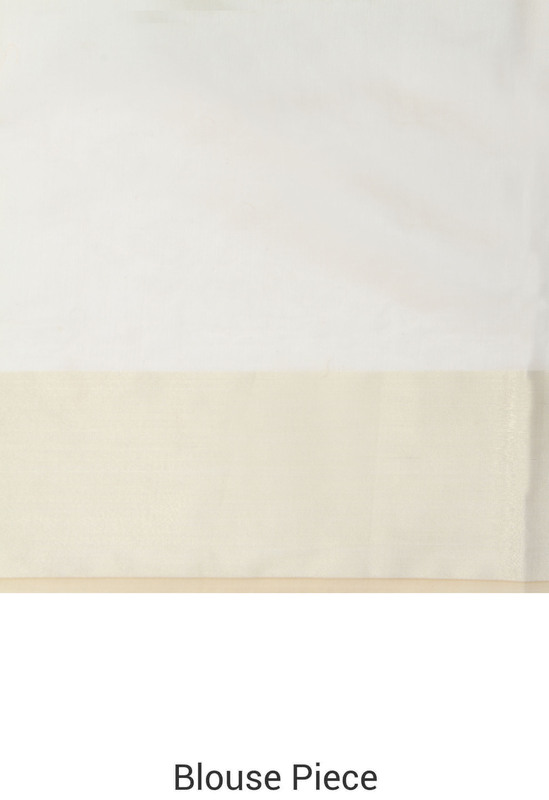 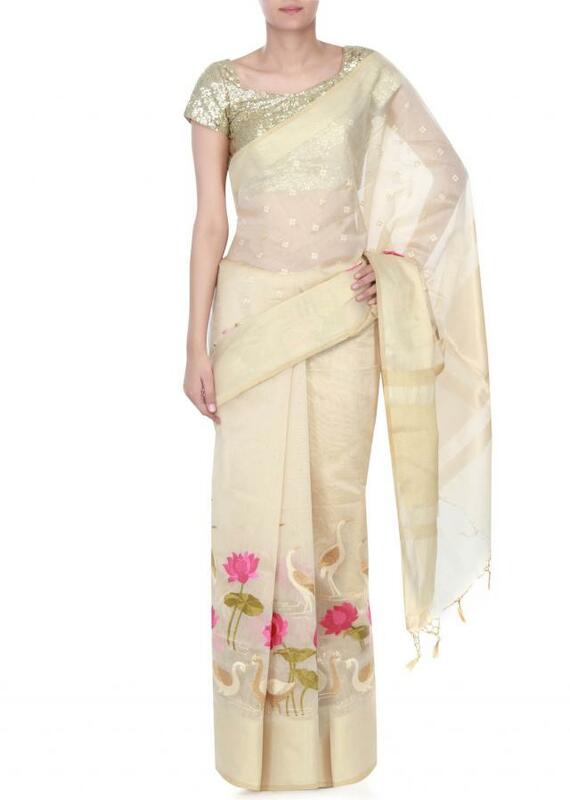 Beige saree featuring in silk. 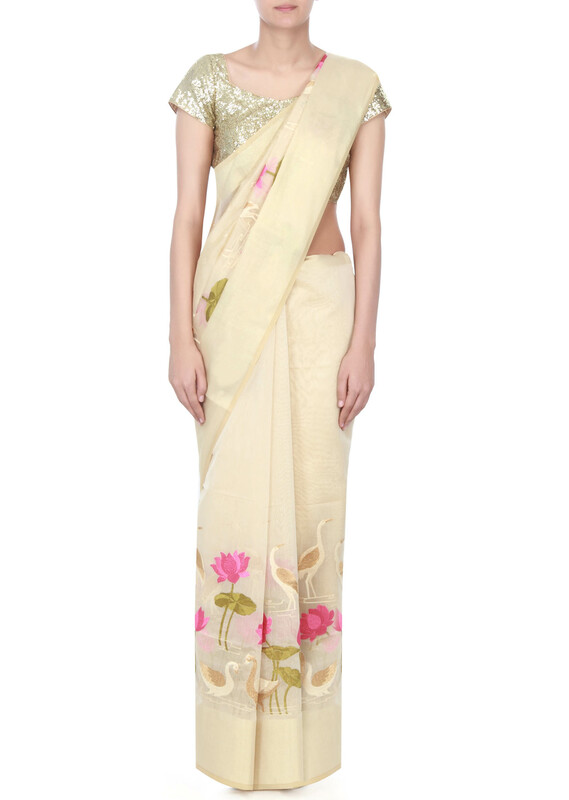 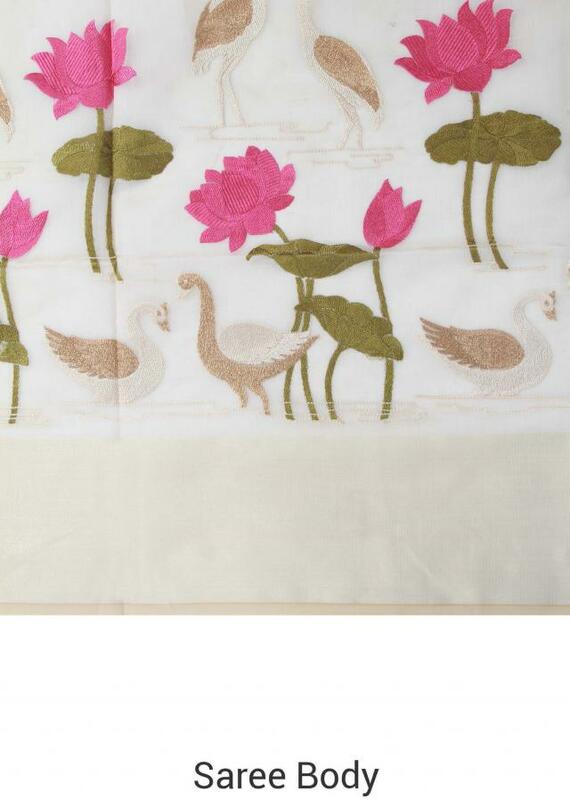 Its embellished in resham embroidery in floral and bird motif. Blouse is unstitched in silk.